Word in from Sealevel Properties that lots of people are showing interest in being the first to live in new apartments planned at the Port of Everett’s Waterfront Place Central. Here’s more. 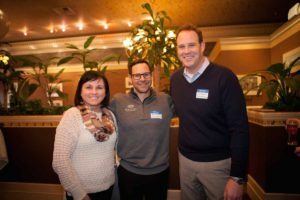 Local multi-family builder SeaLevel Properties revealed strong demand for its new Everett Waterfront Apartments, with 80 percent of available units offered in the company’s first release event now spoken for. 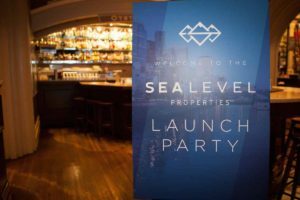 SeaLevel Properties recently hosted an open house showcasing the company’s newest multifamily development, Everett Waterfront Apartments. 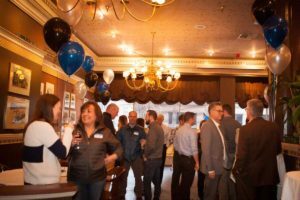 The event was attended by about 100 people and resulted in 80% of the available units being reserved. The development is set to be complete in 2020. The 266-unit building includes studios, and one-, two- and three-bedroom units in a four-story structure. The apartments, at 1300 West Marine View Drive, are in the Port of Everett’s 65-acre Waterfront Place Central development. The development includes $85M in infrastructure improvements that will include additional roadway access, new pubic spaces and a new marine structure at Fisherman’s Harbor. The marine structure will include a new public dock. The Waterfront Place Central mixed-use development will include new trails and regional parks, as well as public gathering spaces, a total of 660 housing units, Hotel Indigo and many dining options. It will also have retail and marine sales. The Port of Everett expects the project to support 2,000 jobs and generate $8.6M in new tax revenue, according to the release. SeaLevel Properties is planning 266 units as part of the Port of Everett’s 65-acre Waterfront Place Central redevelopment. They’re scheduled for completion in 2020. 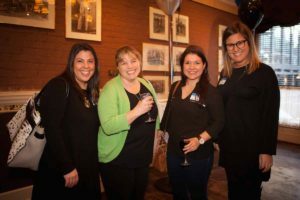 A recent marketing event attracted 100 people, SeaLevel reports. Construction of the two-building complex is expected to begin next year. Everett Waterfront Apartments will be in the Fisherman’s Harbor district of Waterfront Place Central. 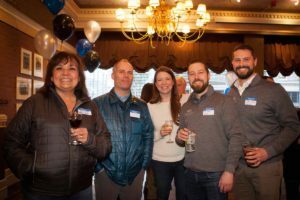 SeaLevel’s John Shaw said in a statement that the turnout “confirms our instincts that there is indeed very high demand for high quality waterfront living in Everett.” Rents have not yet been set. Units will range from studios to three-bedrooms. Waterfront Place Central will have about 660 housing units, the Hotel Indigo (which broke ground in March), restaurants, and 662,000 square feet of commercial, retail and marine sales and services. EVERETT — SeaLevel Properties said Monday it’s finalized a $7 million deal to buy 5.44 acres of the Port of Everett’s 65-acre Waterfront Place Central development, where the company will build two four-story buildings with 266 apartments. SeaLevel is the multi-family division of American Classic Homes based in Mercer Island. “This is a historic transaction for the Port of Everett,” said the port’s acting chief executive, Lisa Lefeber. “This property sale allows housing on the waterfront for the first time in Everett’s history. Lefeber said the new housing should attract more people and more businesses. The apartment project at 1300 W. Marine View Drive is to include a mix of studio, one-bedroom and two-bedroom units ranging from 750 square feet to 1,400 square feet. The area in the Fisherman’s Harbor District is the part of Waterfront Place closest to West View Marine Drive. SeaLevel Properties and the port agreed in principal to the deal in 2016. Construction is expected to begin this fall and is slated for completion in 2020. “We’re thrilled to acquire this prime development site within Everett’s Waterfront Place redevelopment,” said John Shaw, SeaLevel Properties director. When fully built out, the port’s Waterfront Place Central, a mixed-use development, is to include trails and parks; retail, restaurant and commercial space; and up to 660 housing units. SeaLevel Properties (www.sealevelproperties.com) and the Port of Everett closed their deal for a 5.44 acre site within the Port’s Waterfront Place Central mixed-use development to make way for new waterfront apartment homes (www.EverettWaterfrontApartments.com). Construction is expected to begin later this year. Located at 1300 W. Marine View Drive in the Port’s 65-acre Waterfront Place Central project, the 266-unit housing project will feature a mix of studio-, one-, two- and three-bedroom homes ranging from 750 sq. ft. to 1,400 sq. ft. in two distinct, yet connected 4-story buildings. With completion slated for 2020, SeaLevel’s apartment homes at Fisherman’s Harbor are designed to reflect three unique waterfront experiences: a marine/water-inspired experience, an industrial-inspired experience, and a timber-inspired experience. At full build out, the Waterfront Place Central mixed-use development will include new trails and regional parks together with public gathering spaces, up to 660 housing units, Hotel Indigo, a business and lifestyle waterfront hotel, fine and casual dining restaurants and commercial, retail and marine sales and services. The project includes five (5) districts: Fisherman’s Harbor, the Millwright District, the Esplanade District, Wharf’s Edge and the Craftsman District. The Craftsman District was completed as part of the Port’s development of a boatyard in 2009, and Fisherman’s Harbor is the first phase of the mixed-use project to proceed. The entire project will support more than 2,000 jobs and $8.6 million in new tax revenue to state and local governments. Hotel Indigo, a 142-room business and lifestyle hotel broke ground in March and has gone vertical in the last weeks. They expect to be open mid-2019 and will feature full amenities, a 150-seat restaurant and a 5,000-sq. ft. conference and event space. About SeaLevel Properties. SeaLevel Properties is a local, family-owned builder, focusing on multi-family development. Taking great pride in its reputation for superior quality, attention to detail, and thoughtful development with community in mind, SeaLevel maintains a collaborative approach on all projects. 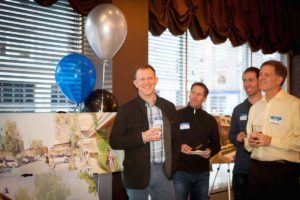 SeaLevel Properties entered the multi-family development market in early 2016, and has quickly developed a presence in the Puget Sound area with more than 600 units currently under development. http://sealevelproperties.com. 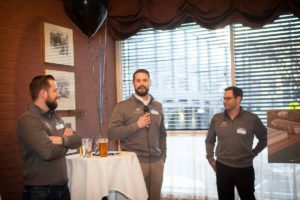 As a locally-focused firm led by local real estate experts John Shaw and Kyle Weeks, SeaLevel Properties officially launched in 2016 and has multiple multi-family projects under development throughout the Puget Sound region. Recently, SeaLevel Properties broke ground on a five-story, 64-unit, 20,000 sq. ft. project targeting students in the University District. The Vale Apartments, a five-story, 110-unit apartment building located in charming downtown Issaquah, broke ground in August 2017. SeaLevel Properties is also constructing a 59-unit, 32,000 sq. ft. apartment building located in the heart of the Pike/Pike Corridor in Seattle’s Capitol Hill neighborhood, which will break ground in late 2018. SeaLevel Properties’ SAMM Apartments (www.LiveAtSAMM.com), a new 132,000 sq. ft. multi-family building located within the Sammamish Town Center in Sammamish, Wash. is also more than 95 percent leased since opening in mid-August 2017. 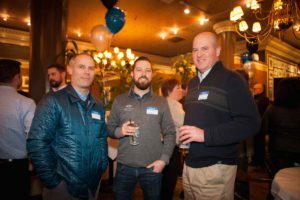 SeaLevel Properties celebrated with friends and colleagues at their official launch party last Tuesday at FX McRory’s in Seattle. Thank you to everyone who came! 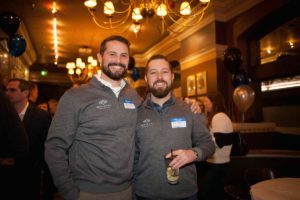 Seattle, WA – January 30, 2017 — SeaLevel Properties, the multifamily division of Pacific Northwest-based homebuilder American Classic Homes, today announced two new projects in Seattle’s University District and Capitol Hill neighborhoods. 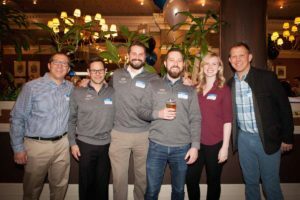 Built on tradition and rooted in the Pacific Northwest, the locally-focused, family-owned builder led by Directors John Shaw and Kyle Weeks focuses on multi-family development, and a deep commitment to furthering thoughtful development with community in mind. Located at 4536 20th Ave NE, the new 20,000 sq. ft. University District project is slated to break ground in mid-2017, and will feature five stories with 64 studio units averaging approximately 225 sq. ft.
“As Seattle’s housing market continues to expand, it’s important to provide a range of housing options. Our new U-District project provides smaller spaces—at lower prices—which are popular with students who want to live a simple, clutter-free lifestyle,” said SeaLevel Properties Director John Shaw. Featuring bike storage and a community courtyard, the building will be constructed to eco-friendly Built Green™ standards, and units will be available for leasing in late 2018 with rents averaging $1,100 per unit. Located at 953 East Union in the heart of the Pike/Pine Corridor, along what was once called ‘auto row’ in Seattle’s Capitol Hill neighborhood, the SeaLevel Properties team will break ground on a new 59-unit, 32,000 sq. ft. apartment building by early 2018. The building is slated to open in 2019. Featuring seven stories and a 3,000 sq. ft. ground-level restaurant space, the project will include studio and one-bedroom units. In accordance with City building code, the building will not include on-site parking, but will feature bike storage on each residential floor, and a roof top deck with views of both the Space Needle and Mt. Rainer. Additionally, the project is situated along a ‘green street’ on 10th Ave. —giving priority to pedestrian circulation and walkability. E Union’s next mixed-use development above an old auto row property won’t bother with preservation. American Classic Homes has purchased the old Complete Automotive garage in the 900 block of E Union for $1.8 million with plans to develop a seven-story, mixed-use apartment building on the site. The parcel is one of the last chunks of land available in this area on the backside of Pike/Pine that has seen a rapid wave of development creating giant preservation-incentive boosted projects and some smaller, but equally incredible investments in auto row-loyal overhauls that have created homes for the area’s burgeoning food and drink scene. 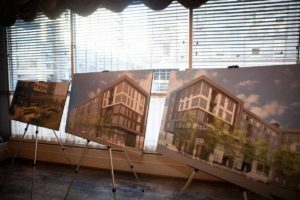 A spokesperson for American Classic Homes said it is too early to say what restaurant might be lined up for the more than 3,000 square feet of retail planned for the new building. The housing is being planned as a mix of 50 “micro units,” one bedroom, and studios. There will be no parking. The 1,800 square-foot garage on the property at E Union at Broadway Ct dates to 1918, according to King County records. It had been owned by the same family since 1986. While demolition is the future of the old garage, across Broadway Ct, the Complete Automotive showroom now glistens as Capitol Hill’s Optimism Brewing. The 16,000 square-foot brewery opened in November 2015. 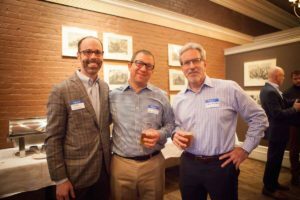 CHS talked to Optimism ownership earlier this year about the $6.5 million purchase of the old auto row building and its preservation-friendly overhaul in the shadow of less faithful auto row reproductions powered by the Pike/Pine Conservation District incentives. The planned project from American Classic Homes will have another example to its south of auto row preservation. The Central Agency building reopened in 2014 after a major restoration with longtime 12th Ave restaurant Lark moving in to anchor the development. Soon, the building will also be home to a new project from Heritage Distilling. The 953 E Union project, meanwhile, won’t open for at least two years given the 18 months minimum usually required to complete design review and construction. By then, it will probably have a few more projects in motion nearby as these lost blocks between Pike/Pine and Seattle University fill in.